Continuing to assess and report lagoon health takes time and funding. Independent funding is needed to keep this report as an independent, unbiased and unmanipulted product. Help support this effort and add your name to the list below by donating now. Funding for the first report was provided almost entirely by Community members like you! Warm appreciation is extended to the Indian River Lagoon National Estuary Program Science, Technology, Engineering, and Modeling Peer Review subcommittee members Anne Birch, David Cox, Duane De Freese, Chuck Jacoby, and Lisa Krimsky for their guidance, review, and input. We acknowledge and appreciate the efforts of dozens of agencies and individuals who contributed data to this effort, with special thanks for their efforts and time to Margie Lasi, Lori Morris, Ron Brockmeyer, and Wendy Tweedale at St. Johns River Water Management District; Patti Gorman and Mike Tompkins at South Florida Water Management District; Thomas Adams at Florida Department of Environmental Protection; Jessica Lunt and Tom Opishinski at Smithsonian Marine Station; Karen Henshen, Laura Markley, Rhonda Bailey, Rich Paperno, and Steve Brown at the Florida Fish and Wildlife Conservation Commission; and Graham Cox from the National Audubon Society. 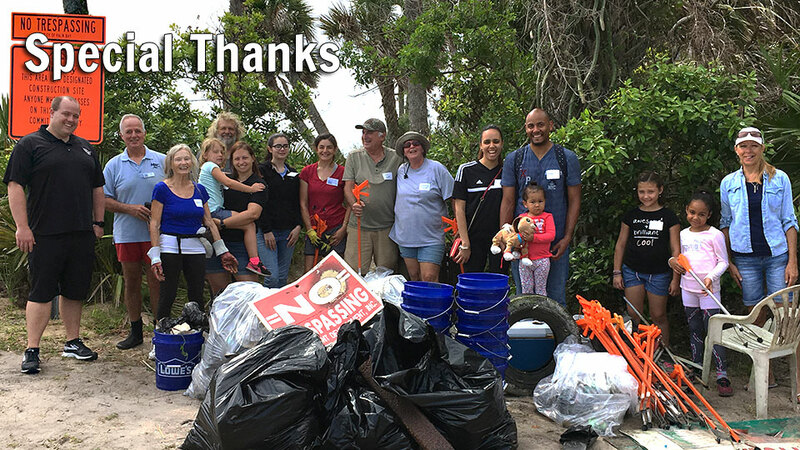 Funding for the scientific methods and data collection were provided in part by Indian River Lagoon National Estuary Program Contract # IRL2016-021.